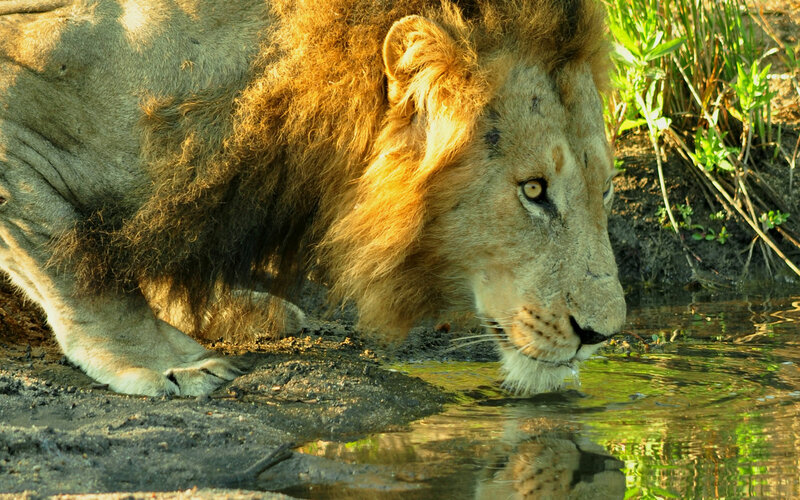 On a private game reserve bordering the Kruger National Park lies The Royal Portfolio’s family owned and run Royal Malewane. This exclusive safari lodge in the Great Kruger National Park – which opened its doors nearly two decades ago – is set against the silhouetted back drop of the towering Drakensberg Mountains. Despite this awe inspiring setting, it is the Royal Malewane’s lavish attention to detail in every aspect which belies belief and which has earned this regal property its plethora of “World’s Best” awards over the past decade. 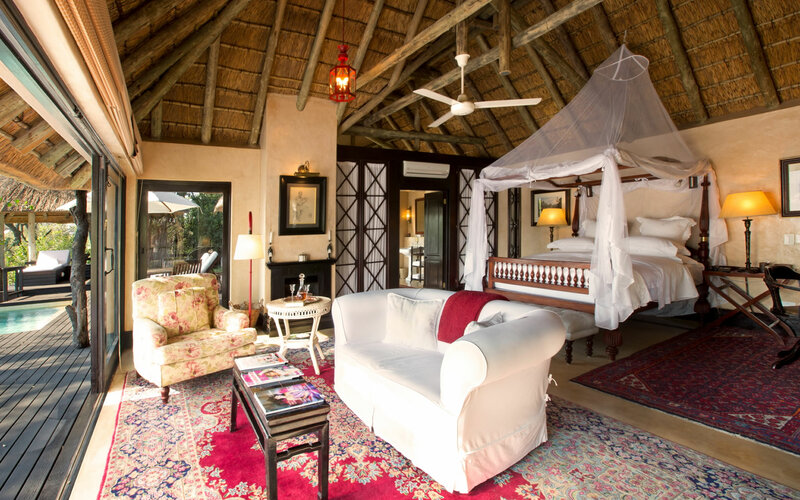 The air-conditioned extravagant suites have always been an opulent hideaway from the heat of the bushveld, displaying unparalleled views of wild spaces beyond. Each suite remains generously spacious but has seen some structural changes such as new floors, doorways, walls and thatching. The Royal Malewane’s kosher kitchen has also been redone. The suites now have new wooden decking and the swimming pools have been resurfaced. The only intrusion on your privacy that you’ll have, if you’re lucky, is a small herd of elephants that may stop by your rim-flow pool for an afternoon drink as you cool off with a cocktail. Enlivening the classic suite furnishings, Liz Biden, owner of The Royal Portfolio, has added exquisite pieces of furniture and exotic new fabrics including vibrant new flashes of colour. A fresh variation from the grand mahogany fittings and extravagant Persian carpets. 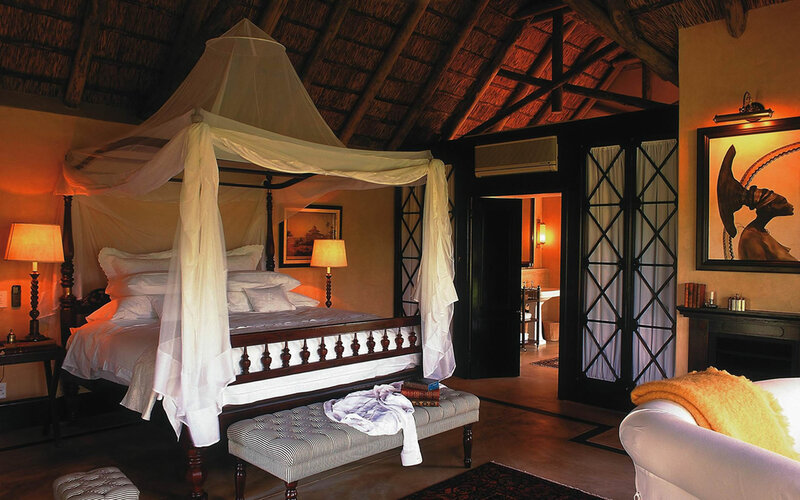 The two Royal Suites, adorned with authentic and opulent décor that transports guests to a time of old world elegance and classic bush style, were also enhanced with new gazebo entrances. And while guests are honoured with beautiful new living spaces and private outdoor relaxation areas, the highlight of The Royal Malewane refurbishment is the opening of the Masiya Bar positioned on the old boma dining area. Established to pay tribute to the Master Trackers of Royal Malewane, this contemporary gin and whisky bush bar is an attraction that offers a different kind of relaxation to the private plunge pool and spa sanctuary. Named after one of the first of the three Master Trackers at Royal Malewane, the Masiya Bar is a wonderful new space for guests to lounge around the fire and share the stories of the day. It also doubles as a new private dining options for guests. While travellers enjoy the fruits of this recent refurbishment, keep your eye on the Royal Malewane as a new building project is underway. Some of the exciting developments in the pipeline include The Farmstead at Royal Malewane which will open in mid-2019.